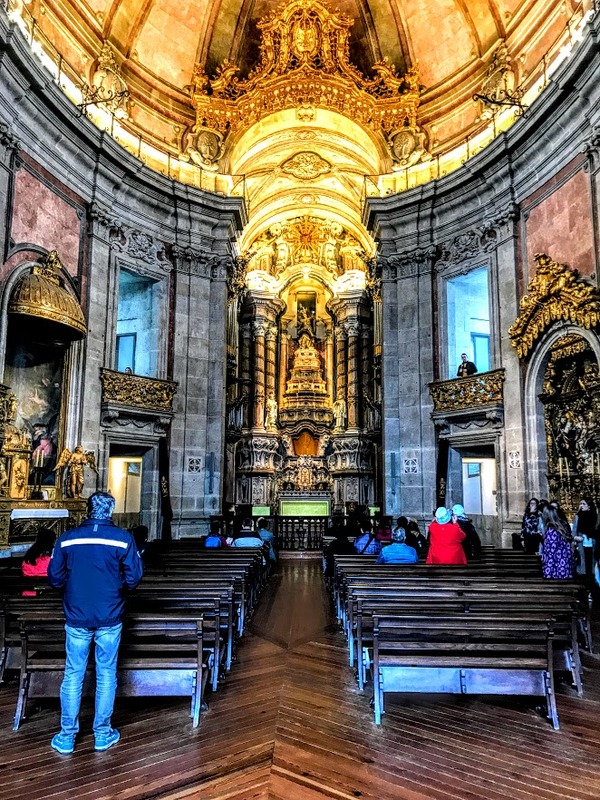 One of the best-known and most visited churches in Porto must be the Clérigos Church (Igreja dos Clérigos) or the Church of the Clergy. 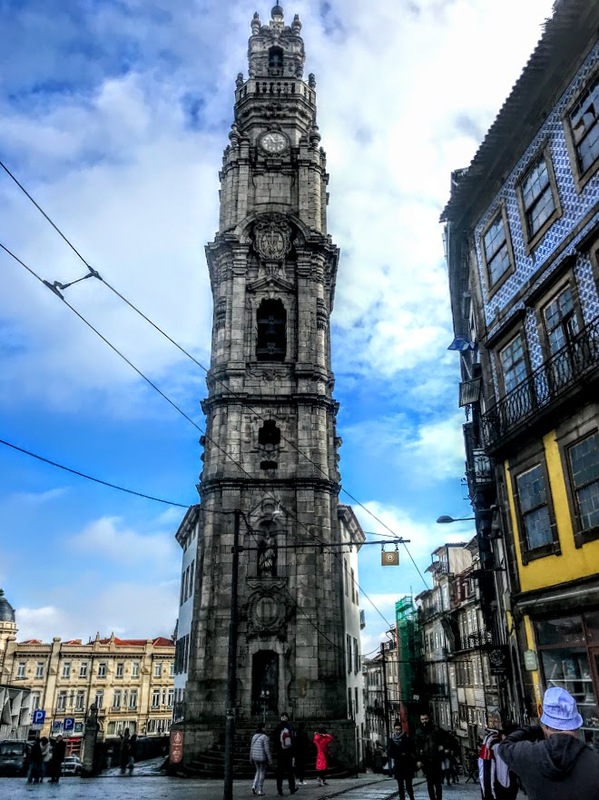 But it is visited mainly not because it is a beautiful Baroque church in Porto, but because of its tall bell tower, the Torre dos Clérigos, which dominates the city skyline and which is one of the best-known symbols of Porto. 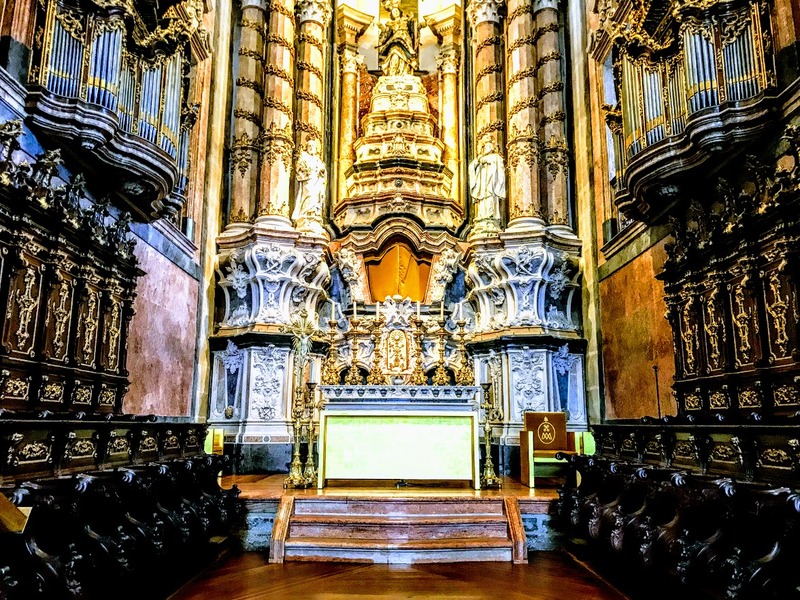 The church was built for the Brotherhood of the Clérigos (Clergy) by Nicolau Nasoni, an Italian architect and painter who left an extensive corpus of work in northern Portugal in the 18th century. 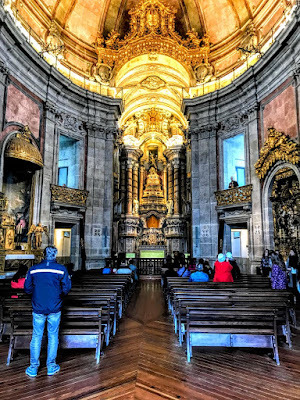 He came to Porto in 1725 to work on the Sé or cathedral, and his works in Porto include the façade of thed Misericórida Church, the Archbishop’s Palace and the loggia on the north side of the cathedral. The 18th century complex at Clérigos was commissioned by the Brotherhood of the Clérigos, founded to offer support to poor priests in Porto. It was built in the old town, on the ‘hill of the hanged men,’ where executed prisoners were once buried. Work on building the Clérigos Church began in 1732 and was finished in 1750. 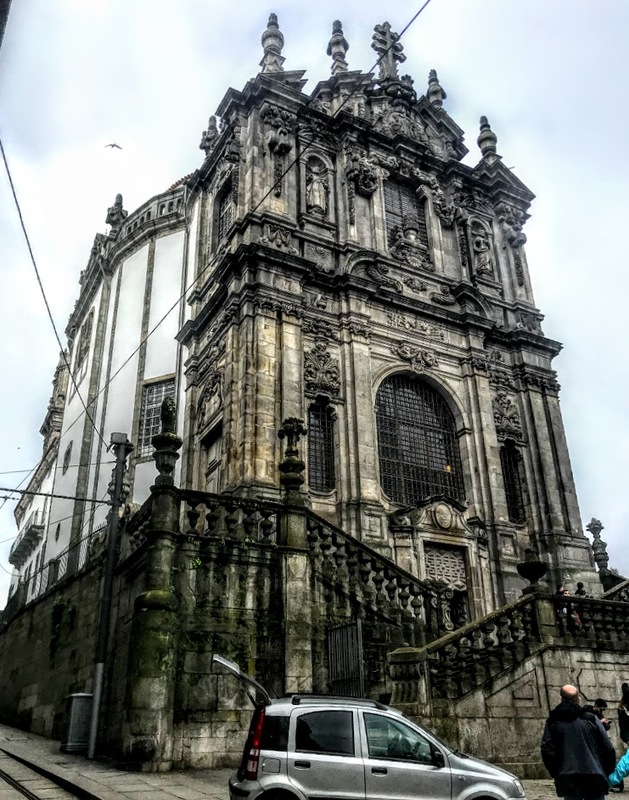 This is one of the first baroque churches built in Portugal with a baroque elliptic floorplan. The bell tower and the monumental stairway in front of the church were completed in 1763. The main façade of the church is heavily decorated with baroque motifs, such as garlands and shells, and an indented broken pediment. This is based on an early 17th-century Roman scheme. The central frieze above the windows presents symbols of worship and an incense boat. The sides of the church follow the elliptical floorplan of the interior. 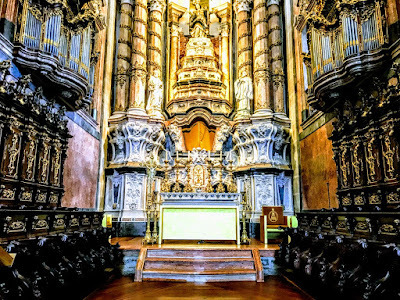 The main altarpiece in the church is made of polychrome marble and is the work of Manuel dos Santos Porto. The two organs in the church are adorned with luxurious floral gold carving. These organs, now over 200 years, are still in use each day with a free 20-minute live concert at noon. Clérigos was a personal commitment for Nasoni, who worked on the building without charge, and he saw it as his masterpiece. He later joined the Clérigos Brotherhood and at his own request he was buried in the crypt of the Clérigos Church, although the exact place of his burial is no longer known. The monumental tower attached to the church was built in 1754-1763 and dominates the skyline of the city. The baroque decoration of the tower also shows the influence of Roman Baroque, and its design was inspired by Tuscan campaniles. 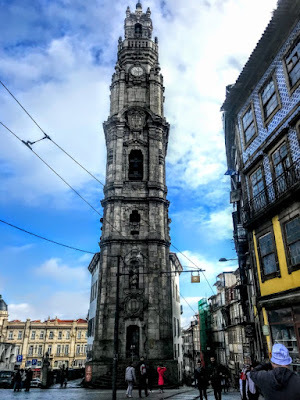 For many years the Torre dos Clérigos was the highest tower in Portugal, and it served several roles during its history. 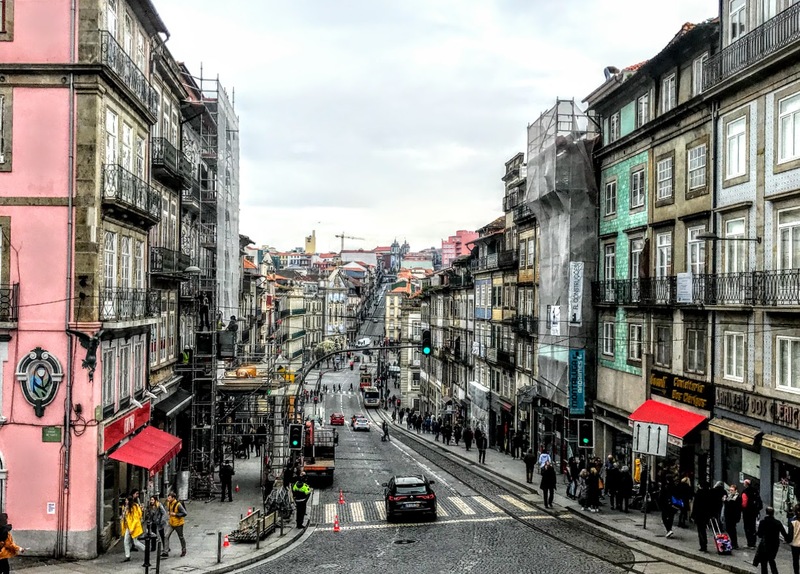 During the 19th century, a mechanism known as Meridiana fired a mortar from the tower to announce to the people of Porto when it was 12 noon, allowing merchants to break for lunch. It served also as an orientation mark for vessels in the Douro estuary. The tower is 75.6 metres and six floors high, with a climb of 240 steps up its stone spiral staircase to the top. It takes more patience than effort, with many visitors ascending and descending all at the same time. 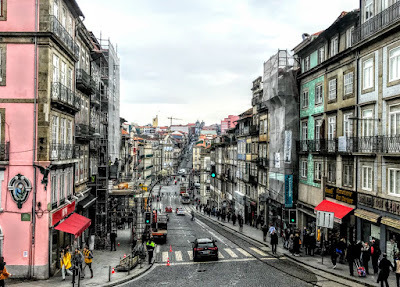 The first stop is on the fourth floor, where a special curved room, lined in dark brown cork, has touch screens with real time images of the outside view from above, and a room with a chronology that highlights the influence of Nicolau Nasoni on Baroque architecture in the Porto region. A circular balcony around the tower provides views of the city below, including the Lello bookshop. At the top of the tower, 49 bells form a large carillon, programmed to play twice a day at 12 noon and 6 p.m. It is connected to two atomic clocks – one in England, and one in Germany – that guarantee its precision and accuracy. There too the tower offers a clear view across the city and the river and out to the Atlantic. At night, especially during summer, the tower offers a unique Clérigos fora d’horas (‘after hours’) programme, with spectacular views across the city.